This sunscreen is very affordable. It contains active ingredients like 15% of titanium dioxide along with 12% of zinc oxide and some inactive ingredients like extract of green tea and iron oxides and more. It also provides some invisible protection from the sun. It helps in keeping the skin free from grease and does not sting the skin because of its sweat along with water resistant technique. This tinted powder contains UV blockers. It comprises of 25% of titanium dioxide along with 20% of zinc oxide. It helps in providing very good protection over the skin that exposed to harmful UV rays of the sun. It further helps to combat the skin problems like sunburns, skin aging or skin redness. It helps to keep the skin very young as well as beautiful. It does not have fragrance and is not comedogenic. 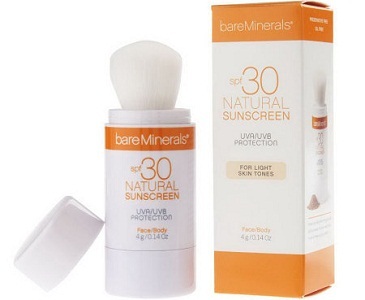 This sunscreen is a brush on the product that provides instant glow as well as sun protection. It claims to be rich in organic products. Sea kelp and Vitamin E are some of the ingredients. 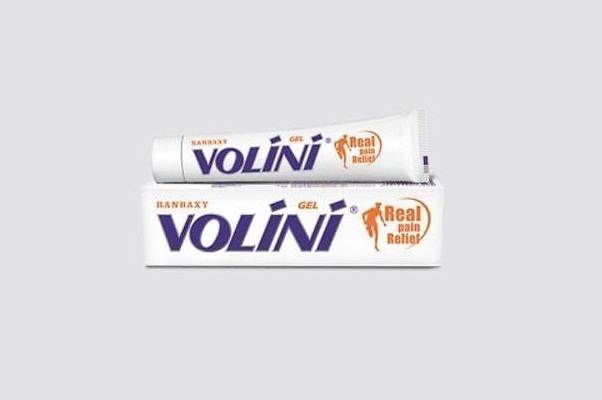 It provides the skin, sunburn protection. It is perfect for all skin types. It is free from paraben, gluten, phthalates, SLS, synthetic fragrance and is not dermatologically tested and 100% vegetarian. It has a silky finish and makes the skin oil free. This colorescience sunscreen provides better protection over the skin that exposed to sun damage as well as skin aging leaving some soft finish. The sunscreen is very easy to apply and can be re-applied throughout a day, leaving the skin beautifully throughout. It contains SPF 50 that provides the skin non-irritating effect and is safe for protection against the harmful UVA rays and UVB rays. 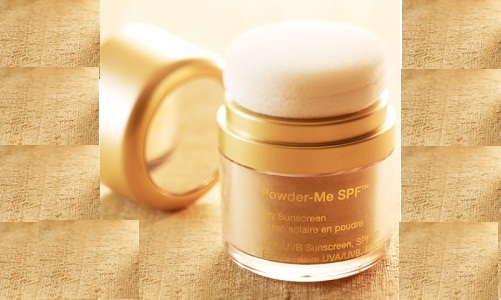 This sunscreen powder protects your skin from everyday sun damage without a greasy and undesired finish. 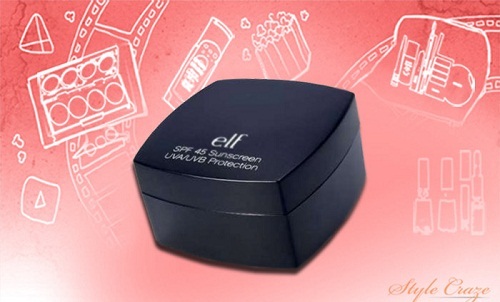 It has titanium dioxide as an ingredient that provides protection against harmful UVA/UVB rays. 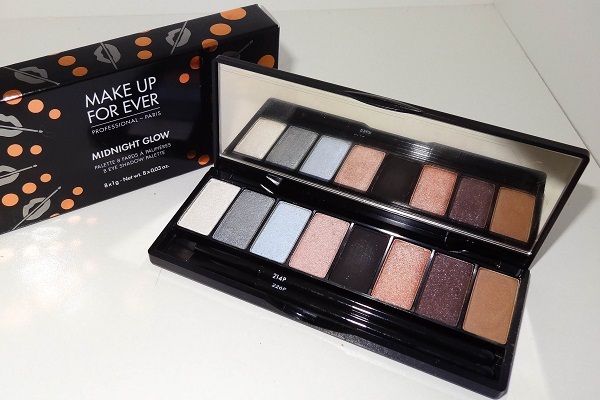 It blends really well, and can be used under or over your makeup. 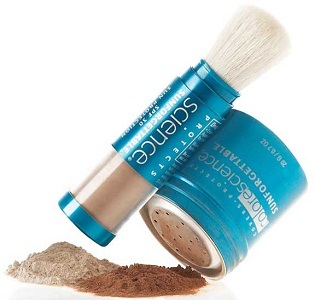 This sunscreen powder comes with a brush and hence can be used by more than one person. There are also different shades available in this product. 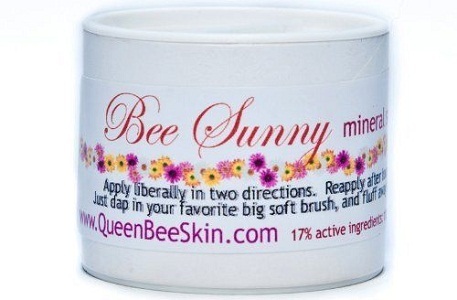 Bee Sunny Organic Mineral Powder Sunscreen is an organic powdered sunscreen that comes in a shaker jar and can be applied with the brush. 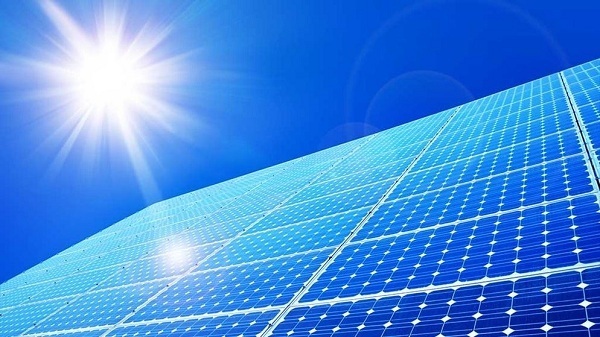 It contains titanium dioxide and zinc oxide and protects against the harmful effects of sun and is long lasting. This powder comes packaged in a plastic case. This sunscreen can be applied alone or over your makeup for protecting the skin from the sun. It shields the skin from harmful UVA/UVB rays, delays aging and blocks the skin against sunrays. The powder has a soft texture, and has ingredients including the aloevera extract, grape seed extract, Vitamins A, C and E. It also nourishes the skin and makes it radiant. 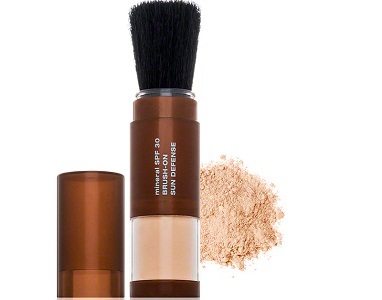 Made of pure clay and titanium dioxide, this powder has ingredients that will smoothen your skin and make it radiant. It comes with a mirror and sponge for application. It is suitable for all skin types and gives efficient protection against UV A and UV B rays. 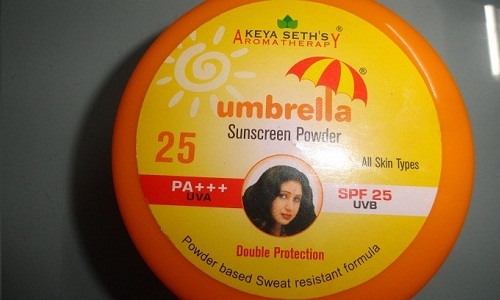 Keya Seth’s Aromatherapy Umbrella Sunscreen Powder SPF 25 contains SPF25, which protects against UVA and UVB rays. 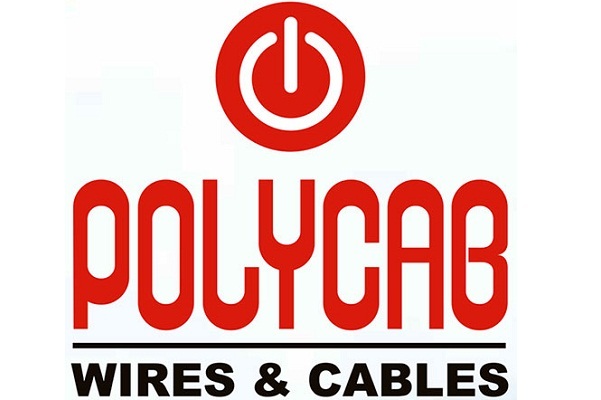 The product is light and hence can be used regularly. It controls the oil, blends well, and makes the skin smooth on repeated use. It does have a strong fragrance and may not be easily available everywhere. Lakme Rose Powder with Sunscreen comes in two shades, warm pink for wheatish skin and soft pink for fair skin. Soft pink seems to be more tinted. 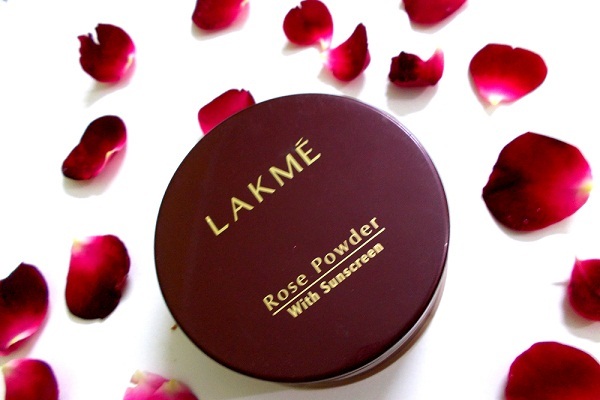 Lakme rose powder comes in a round jar with a transparent inner cover with few holes to control the release of powder, which can be a little messy. It comes with a puff. The texture of this face powder is very smooth and silky to touch. 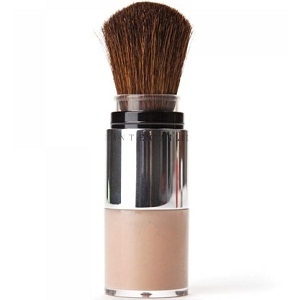 It gives light to medium coverage and is good for oily skin as it gives a matte finish and lasts quite long too. It comes with sunscreen and adds a glow to your skin. We hope this article was informative and helpful. Here we listed top 10 sunscreen powders available in India. So choose your favorite sun protection and go blazing in the sun.